If you only have a small area for crafting we’ll show you how to make the most of it! My craft room is also my laundry room so I had to get super creative in order to fit as much as I could into the space and still have it be functional. I used mostly things I had on hand for organizing and decorating my room and to make it a fun place to create in. 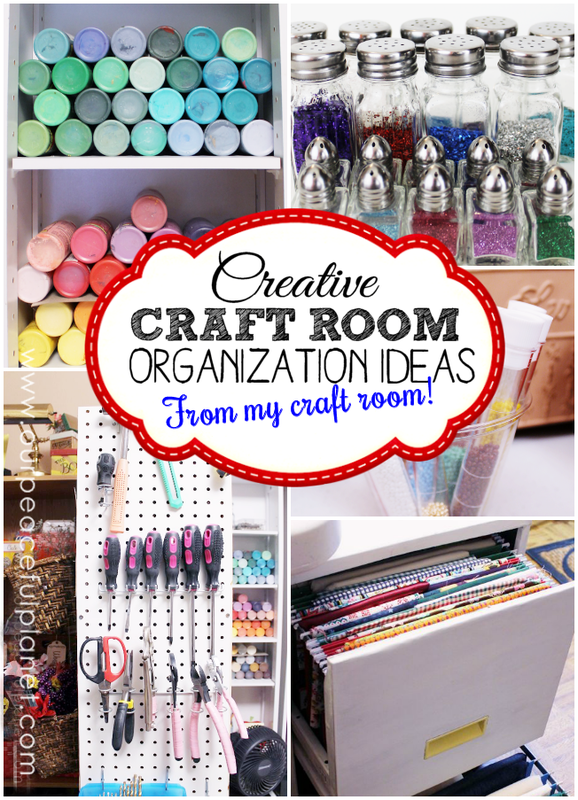 As you’ll see below, craft room organization doesn’t have to be expensive! Ameis suas idéias! me inspirou na organização das minhas folhas de E.V.A. Ju, muito obrigado! Fico feliz que você ache útil. I love this! I will definitely be trying this out soon! Thanks Nancy! You’re so welcome Anna. Have fun! I have a solution for some of your guests who have a lot of 2 oz. acrylic paint bottles and acrylic squeeze tubes. I wonder what you may contribute, as far as a review, on my new product which I plan to offer through an IndieGoGo fundraising campaign this month (Jan. 2017). This was a very informative site! I too have laundry in same space as crafts and sewing which is a challenge in my 12×13 room. Thank you for your inspiration, I am going to get this room done! Ahh! So many clever, clever ideas here! 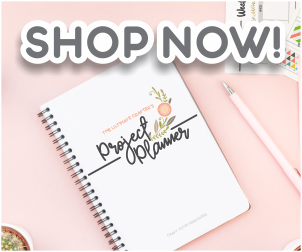 I love organizing too, I pinned this to my organizing board, very inspiring and this post gets me motivated to organized my office supply/craft storage closet! Thank you for sharing! Looks great! I love how you organized everything. Really great ideas. Thank you for sharing, and thank you for linking up at the #HomeMattersParty this week. Hope to see you again next week. Thanks Shann Eva. Appreciate the comment! I love the idea for the wrapping paper. I think I will give it a shot. Very inspiring. I’ll be pinning it. Great ideas and layout, I hope to organize mine this winter.